I've always been picky with my food. But more often than not it was animal-derived foods that I felt funny about. I loved my colorful and crispy fresh veggies, even the somehow infamous broccoli. That's why later in my life I was truly baffled when I found out that many parents don't know how to get kids to eat vegetables. Now, as I'm older and wiser, I admit that I might have been an unusual kind of kid. I outgrew my parents with my interest in food in general and healthy lifestyle in particular. But I can understand the reversed difference in the attitudes towards food comparing parents and their kids. Young kids look up to you. So, be the best example you want your kids to follow. Are you trying to maintain a healthy diet, but your kids refuse to be in the same boat with you? Well, don't worry, everything is possible with a positive attitude and some patience. Here are a few creative ways to get kids to eat vegetables, no matter how young and stubborn they are. Previously I made an assumption that the reason you want your kids to eat a healthier diet is because you are leading a healthier lifestyle yourself. If it's not the case, though, and you set a plate of greens for your kids while munching on your favorite junk food, then we have a problem. Young kids look up to you. But what you tell them has little power over what you show them. They trust their eyes better than their ears, and rightly so. They are amazingly perceptive and they mimic your behavior to a greater extent than you'd like them to. So, be the best example you want your kids to follow. Use doodles, educational videos, dolls, and other playful ways to teach your children why people in general have to eat vegetables. Let them learn how the food is processed in their digestive tract. Introduce them to the fascinating world of microorganisms, vitamins, and minerals. 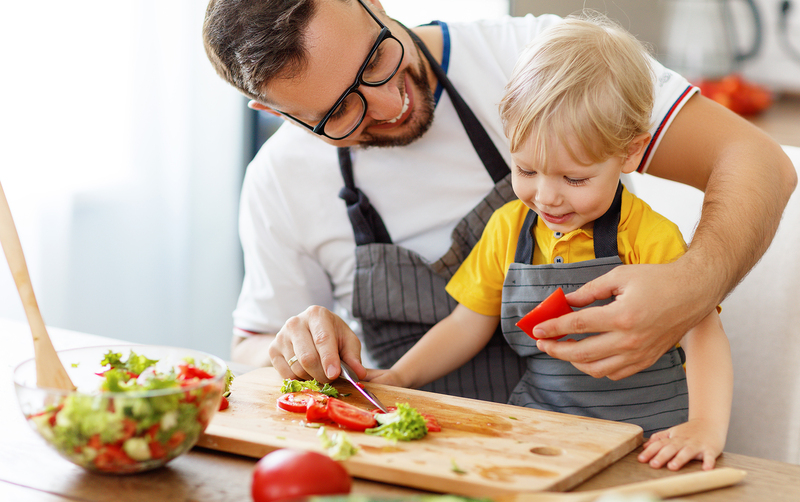 The younger they start learning about their own bodies, the easier it will be for them to refuse destructive behaviors and unhealthy foods later in life. Let the cartoon characters help you teach them about the importance of different nutrients. Why does Popeye eat so many spinach? Because protein gives him super-strength! 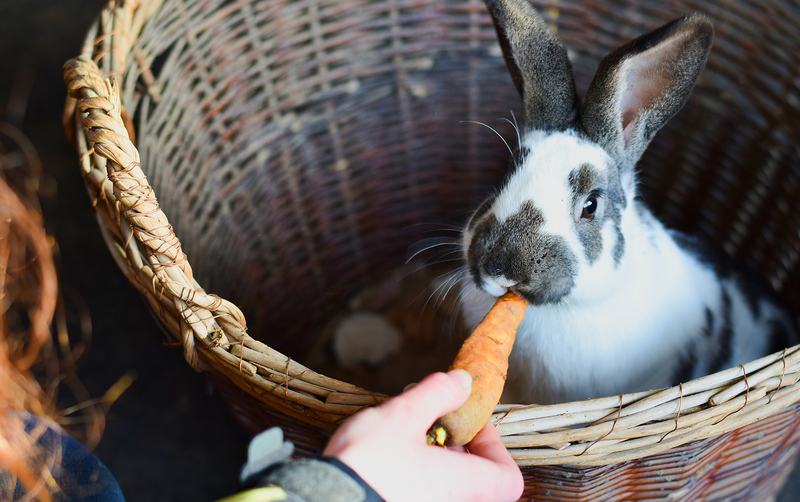 Why do bunnies eat so many carrots? Because vitamin A helps them see in the dark! Another cool way to make veggies more intriguing for kids is to give them fun names. Catch your kid's attention with “X-Ray Vision Carrots,” “Teeny Tiny Tree Tops,” and “Silly Billy Green Beanies.” This is what some public schools do and with great results. You can also tell them fun facts about each veggie and practice whenever they eat them. Let them know that potato was the first food to be grown in space. Tell them where does the myth that garlic protects from vampires come from. You'll learn plenty along the way too. One of the most important ways to get kids to eat vegetables is to present their meals creatively. Veggies and fruit compose a full palette of colors. They come in many different shapes, textures, and tastes. 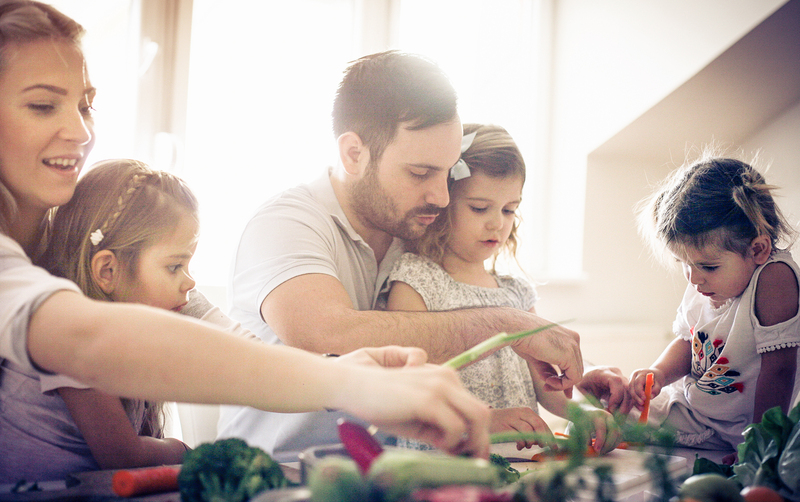 Look at them as an unlimited set of tools to make your family's meals little works of art. A few years back the internet was flooded by enthusiastic food artists. In many cases, they were parents of little kids. Some of them only wanted to put smiles on their kids' faces. Others had a noble goal to encourage their little ones to eat a healthy diet and enjoy it. So if you feel kind of crafty, look up the ideas for bento food art and choose healthy ingredient. In other words, get them involved in the preparation of food. Hands-on experience is what helps the kids learn faster and get interested. It will be much easier getting kids to eat veggies if you show them where they come from, how they grow. If you don't have your own garden, maybe someone you know has. Take a trip together to shop at your local fresh produce market. Prepare your meals together. Teach them how to cook from the early age. This also helps them to start forming a healthy relationship with food. Commitment to food before the eating time makes it more likely that they'll eat it with pleasure and pride. As I said before, if you want to ruin everything, from your kids' relationship with food to your mood, tell them they must eat it. Or, even worse, that they must finish their plate. First of all, this is quite disrespectful. This can make them feel as if they're your prisoners. Second of all, it forms negative associations with the food you want them to like and with eating experience in general. And finally, kids know when they're full and your idea about their portion size can contradict with their actual needs. With new foods, encourage them to try one full bite of it and not more. This will seem a “smaller price to pay” in comparison to the full plate. Also, if a kid is exposed to a particular food with this “one bite rule” on a regular basis, chances are he or she will eventually grow to like it.